On the exclusive street the Kanaalweg we have this distinguished (three-story town-house) apartment build in 1880, 170 sq.m. 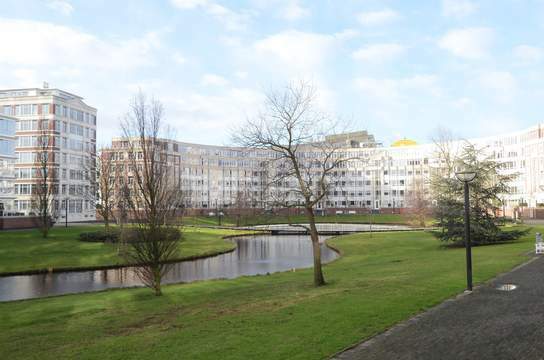 Centrally located in the van Stolkpark, Scheveningen near the Statenkwartier, in one of the most popular residential parts of The Hague, near the old city centre and close to many international organisations as well as several parks and the beach. French school across the road, German school on 5 minutes walking distance. 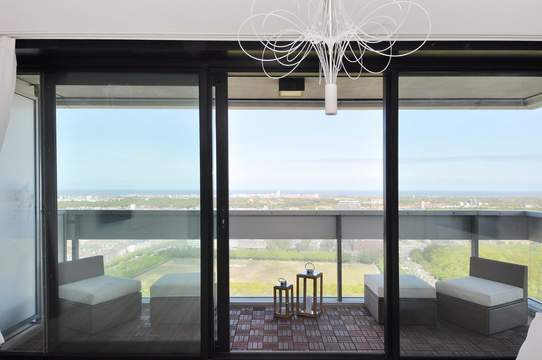 This charming and spacious apartment with seven rooms is in a excellent condition. Completely finished with high-quality materials, up to today’s level of comfort. Public transport on walking distance. Shared entry on ground floor, big storage for bicycles/suitcases/buggy’s etc, stairs to the first floor. Very spacious, distinctive and bright living and dining room with a beautiful fish-bone parket-floor and an open fireplace, doors to a very sunny terrace. Large kitchen with all appliances. Hall with a modern toilet, bedroom at the front. Stairs to the second floor. 2 big bedrooms both with build-in wardrobe, luxurious bathroom with a double sink, bath and a shower. Guestroom at the front site, separated toilet. Stairs to the third floor, room at the frond with heating system, washing machine and dryer. Big (fifth!) bedroom at the back.